We do a lot of baking here in this household. But sometimes the simple act of gathering all of the ingredients, measuring, and focusing (with two sets of extra hands to help) is a little overwhelming. So I involve my children in the "mix making" process. We do it as needed, usually monthly or sometimes more frequently. We make mixes for favorite muffins, scones, pancakes, waffles, and the likes. 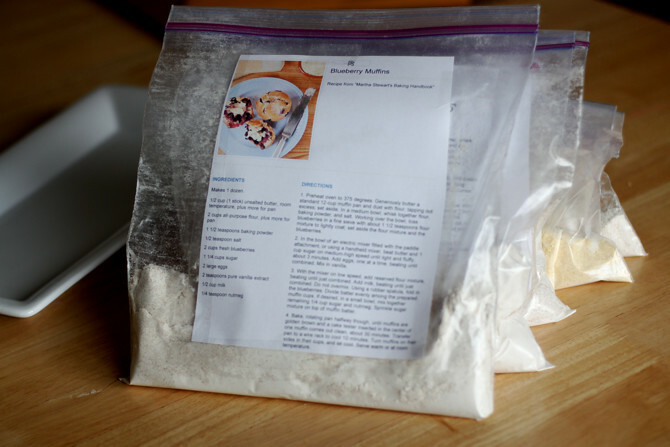 These types of baked goods are perfect to bag the dry ingredients because the process of adding the wet ingredients doesn't disrupt the final product. 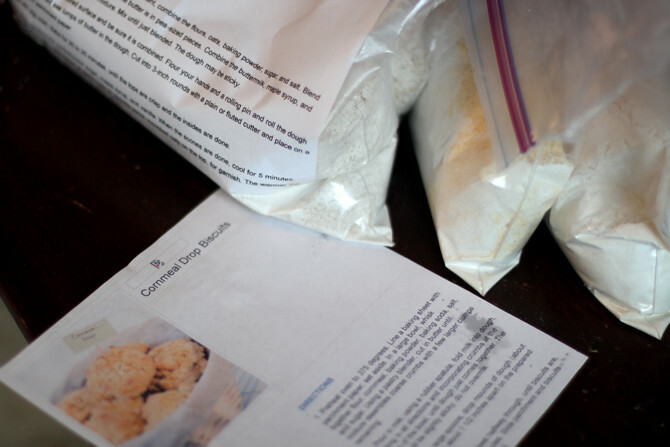 Find a recipe that calls for mixing all of the dry ingredients separately and adding wet to them. 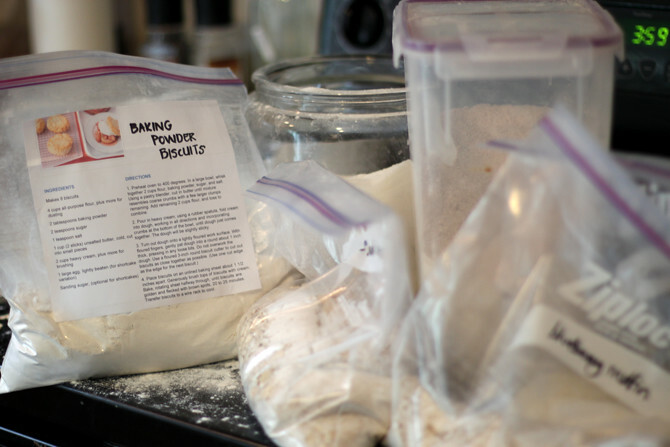 This applies to most muffins, scones, biscuits, and pancakes and some cookie recipes. 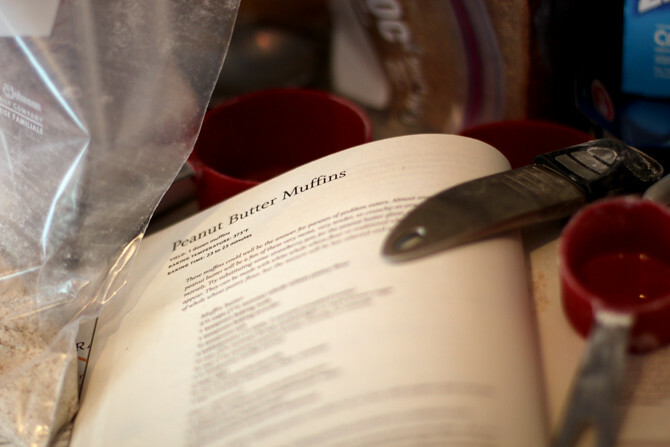 If you use the recipe frequently (or would like to), type or find the recipe online, print, and tape onto the front of a gallon ziplock bag. Fill bag. Maple-Oatmeal Scones --the best scones I've ever had, especially with the maple glaze they are topped with. Breakfast just got a lot more exciting by pulling a bag out of the pantry and adding a few ingredients and Voila, they're in the oven. Enjoy!